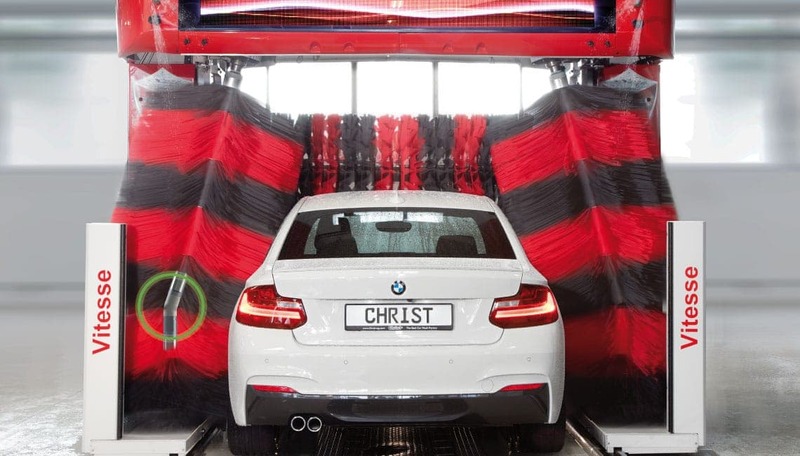 OPTIFLEX is the proven standard technology for the lateral brush wash with roll-over wash units. The fixed-side brushes are especially designed for wear and durability and therefore are the first choice for the lower cost washing operations. The precise control of the contact pressure ensures safe operation and excludes damage to the vehicle. 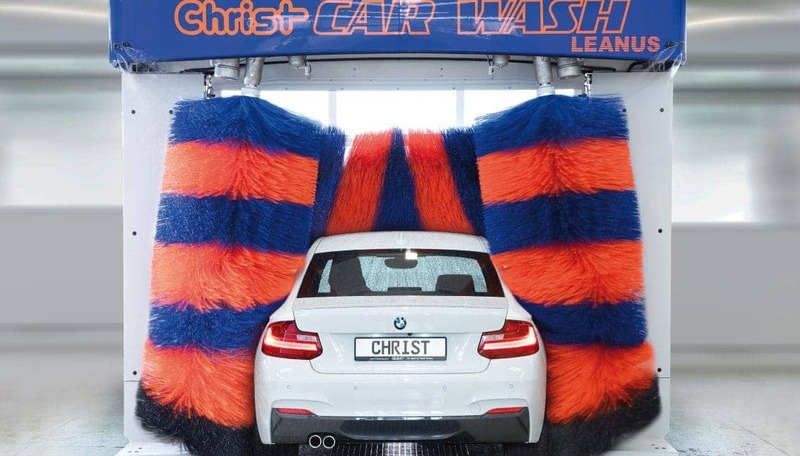 However, 2 overruns are necessary for a complete side wash because the rigid side brushes can only cover the car contour in parts, in each cycle. Proven over the years and a patented Christ technology, our jointed brush guarantees a perfect lateral wash. The jointed brush is always securely locked, excluding any oscillation of the side brush. The even contact pressure over the entire height guarantees an efficient and a smooth and gentle wash. The complete vehicle contour is being covered at each overrun, so the cleaning performance can be ‘doubled’ compared to conventional systems. When washing vertical body sides (e.g. vans) the side brushes are locked vertically. Apart from the technical advantages, the angled brushes are perceived as ‘high quality’ and a special feature by your customers.